Within the Green Spain, the Basque Country is in an intermediate position between the natural landscape and excellent cuisine that characterizes the communities in the north of Spain and the international influences in some of its towns, as in the case of Bayonne, on the edge of the French border. 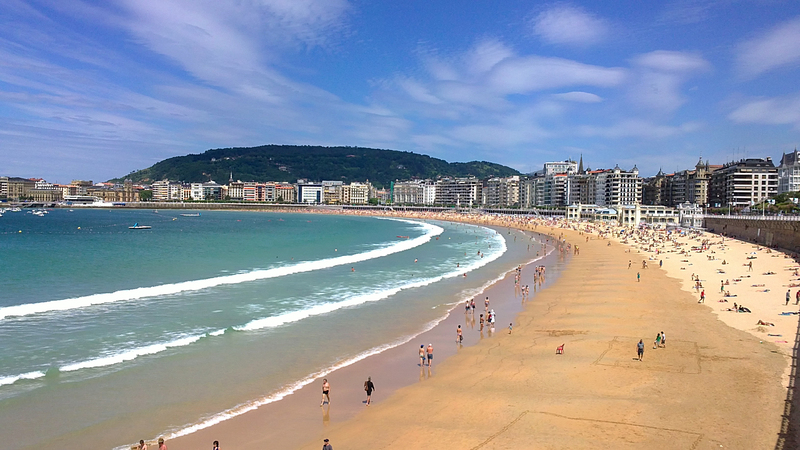 This connection with two worlds, along with its long history, makes Euskadi one of the most ancient Indo-European territories that has become one of the favorite destinations for lovers of multiculturalism. 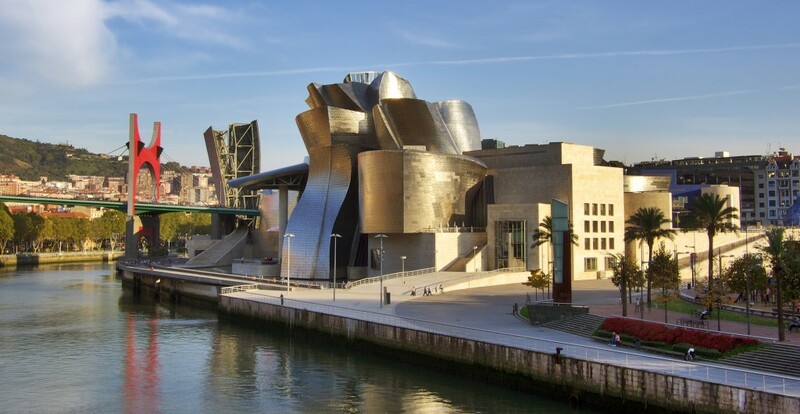 Since its opening in 1997, the Guggenheim has become the most prominent cultural landmark of the city of Bilbao. The design of this contemporary art museum was made by the Canadian architect Frank O. Gehry, who, with a combination of different materials which include steel, stone or titanium, created what is considered by many as an artistic work. In its 24,000 square meters there is room for an auditorium, a restaurant, a library and over 11,000 square meters of exhibition halls. All this has made the Guggenheim capable of accommodating a host of artistic and cultural events that have placed it among the most important exhibition spaces at the international level. 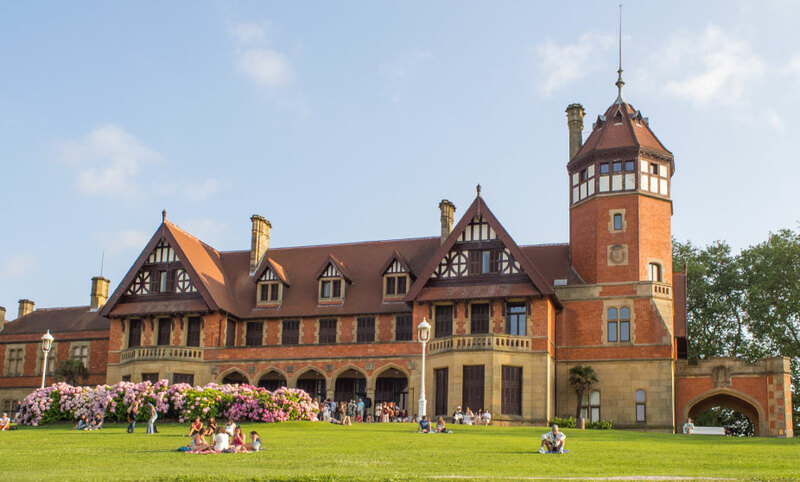 The beauty of this historic building, with its spectacular location, make it one of the most important points of pilgrimage in the Basque Country. The Queen Elizabeth II was in charge of sending the construction of what was to become his apartment during the summer months. The works of the Palace of Miramar, whose design was made by the English architect Selden Wornum, were completed in 1893. From its location, on top of the area known as Pico del Loro, the building makes available the best views the entire city of San Sebastián. Its fine white sand, along with the careful ornamentation of the railing which separates the bay from the promenade —designed early last century by the architect Juan Rafael Alday—, make the Concha beach of San Sebastian in a reference nationals as regards urban beaches. The sand, about 1,350 meters long, is located in the heart of the city and shares space with the Ondarreta beach, with which it forms one of the most beautiful maritime landscapes in Spain. 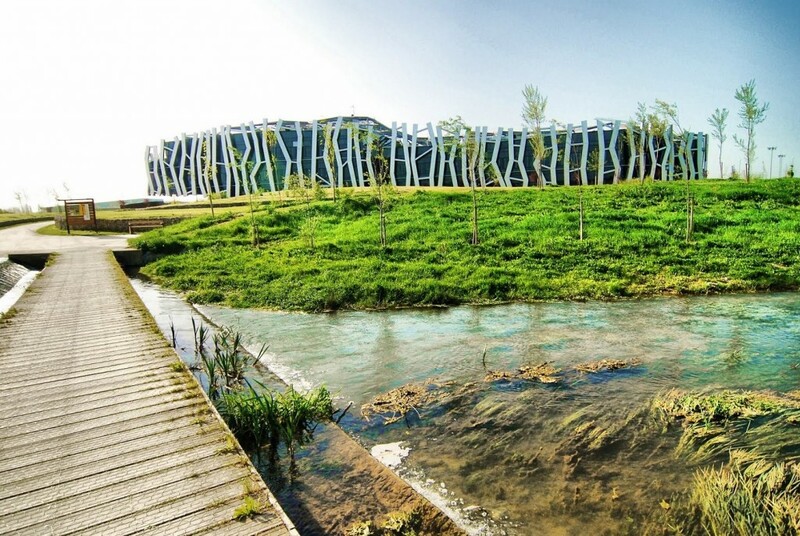 Wine lovers can not miss this architectural jewel that worships the god Bacchus. 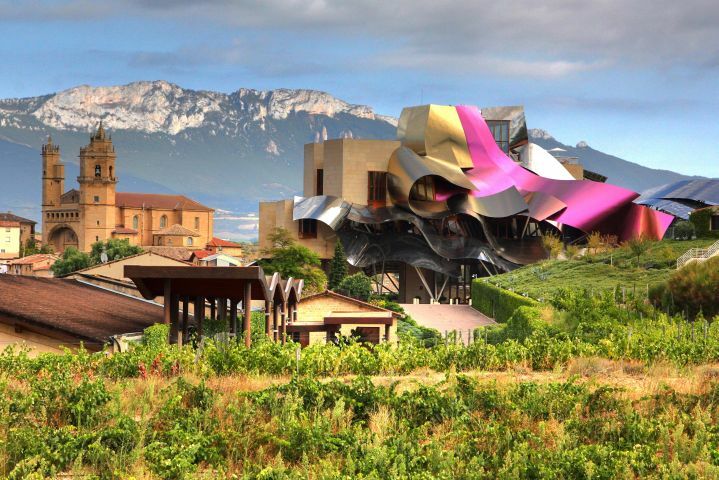 With an area of 100,000 square meters, this luxurious resort is located in the town of Elciego, province of Álava, and in it, stands out as one of the oldest wineries Rioja designation of origin, built in 1858 and a spectacular building designed by Canadian architect Frank O. Gehry, which houses the Hotel Marqués de Riscal, the Vinothérapie Caudalie Spa, a center for meetings, banquets and conferences and two exclusive restaurants that follow the proposals of chef Francis Paniego, winner of two Michelin stars and the National Gastronomy Award. 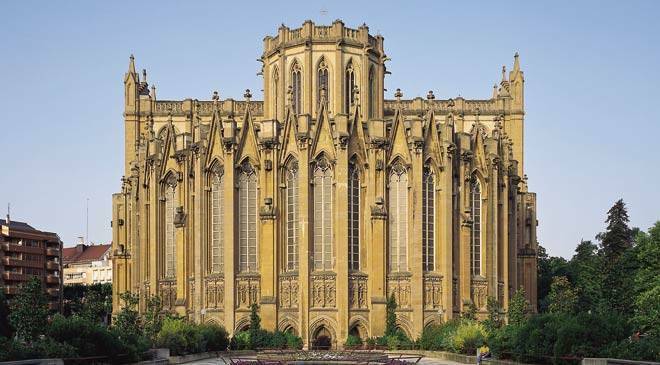 The beauty and magic shows of this Gothic cathedral, built in 1181 and which is popularly known as the Old Cathedral, inspired the British author Ken Follett in the second part of his book The Pillars of the Earth. Subject to various restorations that have been acclaimed by various historical or professional level, archaeological heritage, which is one of the emblems of Vitoria church has lost none of its original mysticism. The visit to the highest part of the city of San Sebastián is done, both to admire the spectacular urban landscape, to visit two of the most important monuments: the Castillo de la Mota, located on top of the promontory, and remains of the fortifications that once surrounded the entire city environment and today house exhibitions. 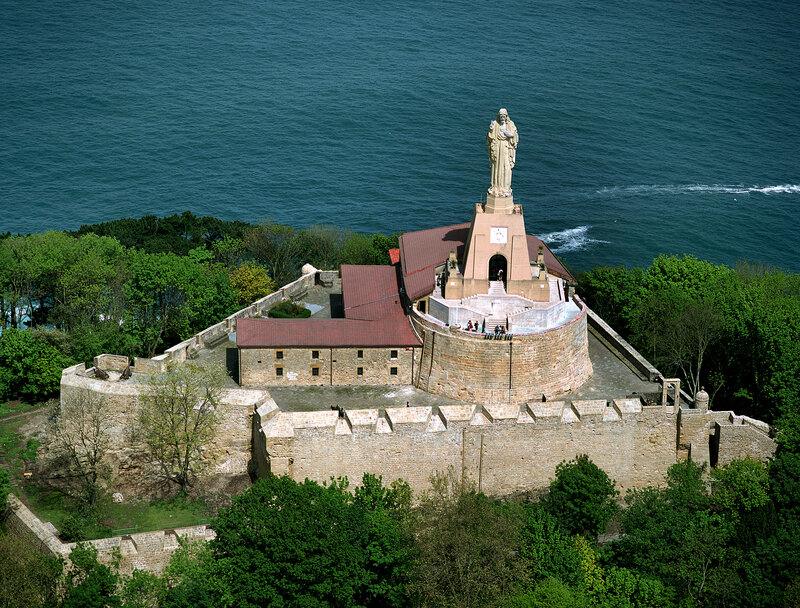 Urgull is at an intermediate point between the old part of San Sebastián and the Paseo Nuevo, located by the sea, and is crowned by a statue of the Sacred Heart. This famous group of sculptures, created in 1976 by Eduardo Chillida, is located just down the beach Ondarreta, in San Sebastián. 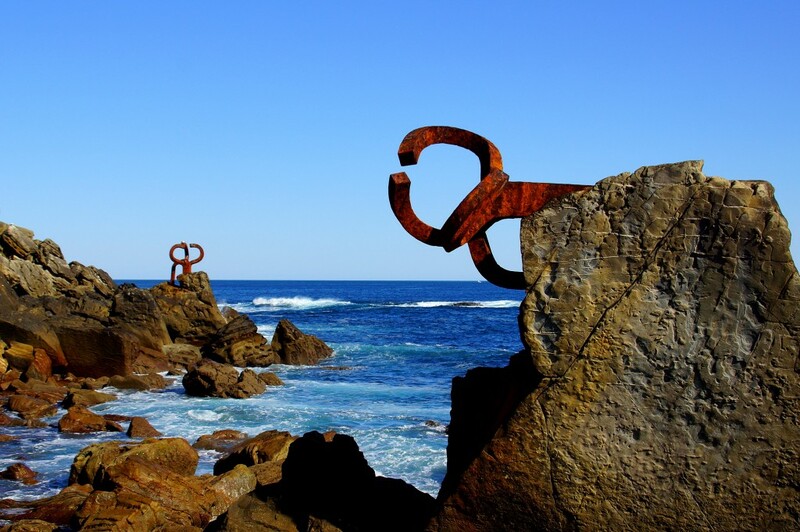 It is three pieces of steel anchored three granitic rocks that resist the intense waves of Biscay creating a unique visual and sound show. And the air driven by the waves, is channeled to the outside through a number of tubes installed in place, leading to the atmosphere permeated magic.